We hope you enjoy this month’s NetEqualizer Newsletter. Highlights include features from Release 8.4, our 2016 Leasing Program, and a presentation highlighting the NetEqualizer at the 2016 ASCUE Conference. Release 8.4 is almost here! I write this today in the midst of a spring blizzard in Colorado. So far it appears that I have at least 15 inches of snow and drifts up to three feet outside my house, while it continues to blow more snow in at 35 miles an hour. Just another typical March day in Colorado! I was hoping to talk about spring in this newsletter, but now it seems far away. This month we are talking about our upcoming release, slated for May, which features a lot of cool Usability Enhancements. Read below to learn more. We also continue our discussion on how the NetEqualizer is Cloud-Ready, as all things Cloud continues to be top-of-mind for all of us. We are excited to announce that we will be represented at the ASCUE Conference in June. Join Young Harris College at their talk featuring the NetEqualizer. And finally, we share more news about our 2016 Leasing Program, and how we are keeping bandwidth shaping affordable. 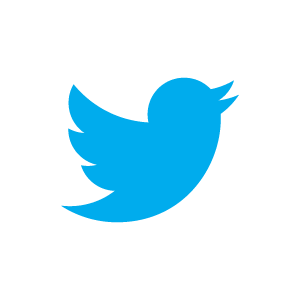 And remember we are now on Twitter! You can now follow us @NetEqualizer. :: NetEqualizer Release 8.4 – Enhanced Usability – Is Almost Ready! NetEqualizer Release 8.4 – Enhanced Usability – Is Almost Ready! We recently had the chance to kick the tires on our new 8.4 Release interface. It really has some significant wow factor type features. In hindsight, perhaps we should have called this NetEqualizer 9.0 and not just lowly 8.4. We have been talking about this release as a GUI Redesign & Pool Enhancements, but I really think 8.4 is a release full of Usability Enhancements, that will make it easier to manage and configure your NetEqualizer.The biggest changes center on the the regular NetEqualizer GUI. We have transitioned everything to share the same look and feel as RTR. Here are some of the pages and features we are most excited about!1) Edit traffic limits on the fly without having to add/remove them one at a time! The screenshot below shows the Pool/VLAN shared limit interface. You can see the Pools, their names, and their associated members. 2) We added a cool new dashboard that serves as the homepage for NetEqualizer management (license key information blocked out in grey): 3) The new GUI also has an easy way to set the time and pick a timezone – no more logging in to the NetEqualizer terminal! 4) You can now choose your units for the entire interface! This includes units for the configuration and RTR. Check back next month for an update on more exciting changes planned for 8.4!Our time frame for General Acceptance of this release is May of 2016.As with all software releases, the 8.4 Release will be free to all customers with valid NetEqualizer Software and Support (NSS). At APconnections, we are proud of our reputation for offering affordable bandwidth shaping solutions. In the summer of 2013, we decided that we could help our customers that need to better align costs with recurring revenue, by offering a Leasing Program. We are happy to announce that we have enhanced our lease offerings in 2016. Our “Standard” lease now comes with a 1Gbps license, and leases for $500 per month. Adding 1Gbps fiber at any of our lease levels just bumps up the price by $100 per month. And for those needing maximum performance, we now also give you access to an Enterprise-class NE4000 with our 5Gbps license and 10Gbps fiber. If leasing is of interest to you, and you would like to learn more, you can view our Leasing Program agreement here. Please note that the NetEqualizer Leasing Program is generally available to customers in the United States and Canada. If you are outside of these countries, contact us to see if leasing is available in your area. We are excited to announce that one of our long-time customers, Hollis Townsend, Director of Technology Support and Operations at Young Harris College, will be talking about his experience with the NetEqualizer in his talk at ASCUE, June 12-16, 2016 in Myrtle Beach, South Carolina. Young Harris has been using NetEqualizer to solve their network congestion issues since July, 2007. They have upgraded their NetEQ as their network has grown over the years, and currently run an NE3000 with a 1Gbps license. We are also happy to announce that APconnections, home of the NetEqualizer, will be a Silver Sponsor at the ASCUE Conference. We will be giving away a great door prize – a Fitbit fitness watch! If you use technology in higher education, you may want to consider attending ASCUE this June. And if you have ever wanted to talk to a colleague about their experience with the NetEqualizer, please join Hollis’ presentation. His presentation is tentatively titled “Shaping Bandwidth – Learning to Love Netflix on Campus”. Click here to learn more about ASCUE or register for the June conference. The last one, lower network costs, is interesting. Since your business services are in the cloud, you can ditch all of those expensive MPLS links that you use to privately tie your offices to your back-end systems, and replace them with lower-cost commercial Internet links. You do not really need more bandwidth, just better bandwidth performance. The commodity Internet links are likely good enough, but when you move to the Cloud, you will need a smart bandwidth shaper. Your link to the Internet becomes even more critical when you go the Cloud. But that does not mean bigger and more expensive pipes. Cloud applications are very lean and you do not need a big pipe to support them. You just need to make sure recreational traffic does not cut into your business application traffic. The NetEqualizer fits perfectly as the bandwidth shaping product in the above infrastructure. Let us know if you have any questions about the cloud-ready NetEqualizer! Editor’s Note: We often get asked to “prove” the NetEqualizer is making a difference regarding end user experience. The tool description and method outlined in our blog post, can be used to objectively justify the NetEqualizer value. Let us know if you need any help setting it up. 1) ISPs can design their networks so these tests show best case results. 2) Humans are much more sensitive to the load time of interactive sites. Have you ever wondered what happens to balloons when they are released into the sky? The remnants of this balloon landed right in front of a staff member on a clear day while hiking Black Star Canyon in Orange County, CA. Balloons like this are actually an environmental disaster as they often end up in oceans and are eaten by sea and wildlife. Enjoy another issue of NetEqualizer News! This month, we highlight leasing a NetEqualizer with NO contract, discuss our new IPv6 shaping process, share a recent case study, and preview our 2015 price adjustments. As always, feel free to pass this along to others who might be interested in NetEqualizer News. 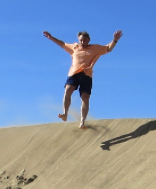 As we kick off 2015, I am knee-deep once again in architecting solutions, which many of you know is what I love to do most! It feels good to start 2015 following my passion – I hope you are committing or re-committing to spend time doing those things that you love most. Speaking of architecture, this month I share with you the upcoming IPv6 Release (8.1v6) design. I also am excited to include our latest Case Study; we have captured Lutheran Health Network’s experience with the NetEqualizer. This large-scale NetEqualizer implementation is a great read, particularly for customers with multiple sites using varying bandwidths. And finally, we give you a preview of 2015 pricing. Some good news here – we have reduced prices on two license levels! In 2015, we are continuing our popular no-contract, monthly Leasing Program. 1) Customers who need to align monthly expenditures with a monthly revenue stream. 2) Customers with limited budgets that need to reduce their upfront costs. 3) Customers who would like user-based pricing. Why is leasing a NetEqualizer joyful? We think that our leasing program is superior to what you would find through a typical 3rd party lessor. We keep the process simple, and make it easy for you to participate. In fact, we started this program because we were tired of the long drawn-out process full of tons of paperwork, signatures, and waiting, while trying to work with lessors on behalf of our customers. We decided that we could do this better, and we think we have! We have found this model popular, as customers can immediately get the benefits of a full-featured NetEqualizer without committing to a large upfront expenditure. And, there is no long-term commitment; if your needs change in the future, you can exit or modify your Lease Program as needed. This model works well for businesses that would like to align their shaping costs with the number of users they have on their network, rather than the size of their network pipe. In smaller businesses, this enables customers to better align their costs with their actual potential revenue stream rather than their network size. In the past several years, we have seen Schools, Business Centers and Internet Service Providers participate in our Monthly Leasing Program. If this sounds of interest to you, call us to discuss or check out our Leasing Program to see if it meets your needs! Please note that the NetEqualizer Leasing Program is currently only available to customers in the United States and Canada. We have word from a few customers running dual stacks that they do have enough IPv6 traffic that it needs to be addressed in the NetEqualizer shaper, especially during peak traffic times. We realized early on in our design choices that a customer running a dual stack may have two addressing schemes, but they still have one bandwidth link to shape as a whole. In other words, all the shaping decisions will be based on the total bandwidth across both sets of addresses, and not a separate decision for IPv6 and IPv4. With that decision, the easiest way to accomplish this for reporting and shaping was to trick the IPv6 traffic into an IPv4 format, which is what we are going to do. We examined real IPv6 traffic on a live network, and as expected the upper bytes in the address rarely, if ever, change. So by taking the lower 24 bits of the IPv6 address and mapping that into a locally unique IPv4 address, we can show and shape all the traffic in one table. We will have Beta versions of 8.1v6 ready to run in late February. At that time we will also have examples and documentation on how to track and shape your IPv6 traffic on the NetEqualizer. Stay tuned here to learn more about our IPv6 Release this Spring! And if you have any thoughts or input on IPv6 that you would like to share, shoot me an email at art@apconnections.net. Recently we received feedback from Lutheran Health Network (LHN) on how their NetEqualizer’s have helped to optimize their network infrastructure. It was so much great information that we captured it as a Case Study to share with you. Jason Whiteaker, a Senior Network Engineer at LHN, describes their environment, what challenges they faced, solutions considered, and the great results they have had with the NetEqualizer in place. Read the full Case Study here to see how the NetEqualizer has been a technical and political “win-win” for the network team. This Case Study demonstrates how the NetEqualizer works well in hub and spoke environments. To read more about how effective the NetEqualizer is at hub and spoke shaping, check out our blog article on the subject. As promised in last month’s newsletter, all newsletter readers can now get an advance peek of our 2015 NetEqualizer Pricing! For a limited time, you can now preview of our 2015 Pricing here without registration. You can also view the Data Sheets for each model once in the 2015 Price List. Our 2015 Pricing will be effective February 1st, 2015. – Due to popular demand, we are adding two license levels to the NE3000 series: 500Mbps and 750 Mbps. – Exciting news for folks looking at 100 or 150Mbps licenses. We have reduced prices on the 100Mbps and 150Mbps license levels, to better align our pricing model. – And finally, as we are seeing more customers moving to higher bandwidth levels, we have decided to no longer offer the 10Mbps license in 2015. 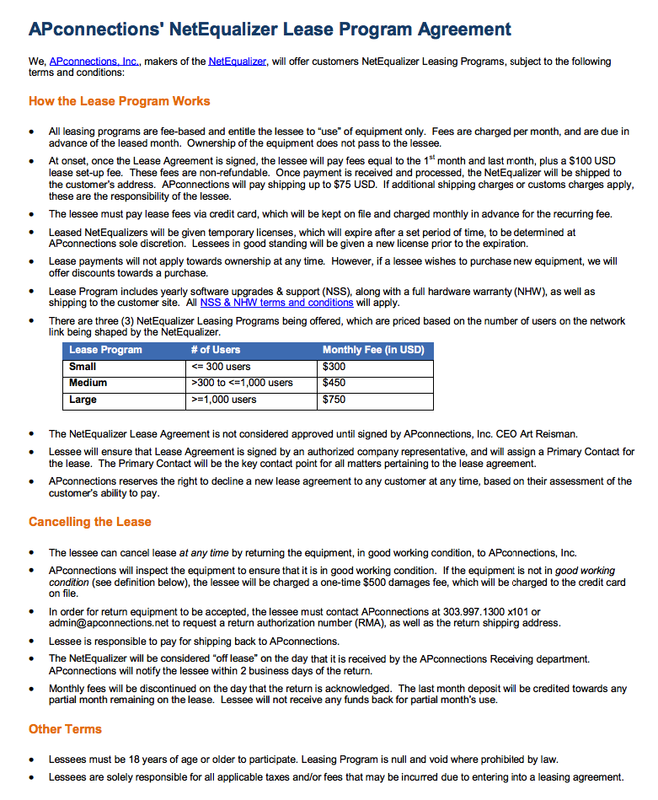 If you are interested in user-based pricing, we are continuing to offer our Monthly Lease Program in 2015. You can read more about that in The Joy of Leasing in this month’s newsletter. We will be using 2014 pricing through January, and all current quotes using the pricing will be honored for 90 days from the date the quote was originally given. However, if you have an outstanding quote on a 100 or 150Mbps unit, we will be happy to update it for you to use the new lower pricing. We also continue to offer license upgrades on our newer NE2000’s. Remember that if you have a NE2000 purchased on or after August 2011, it is eligible for license upgrades and support. If you have an older NE2000, please contact us to discuss a trade-in. The best thing NASA did besides going to the moon was preserving miles and miles of shoreline on the east coast of Florida near Cape Canaveral. 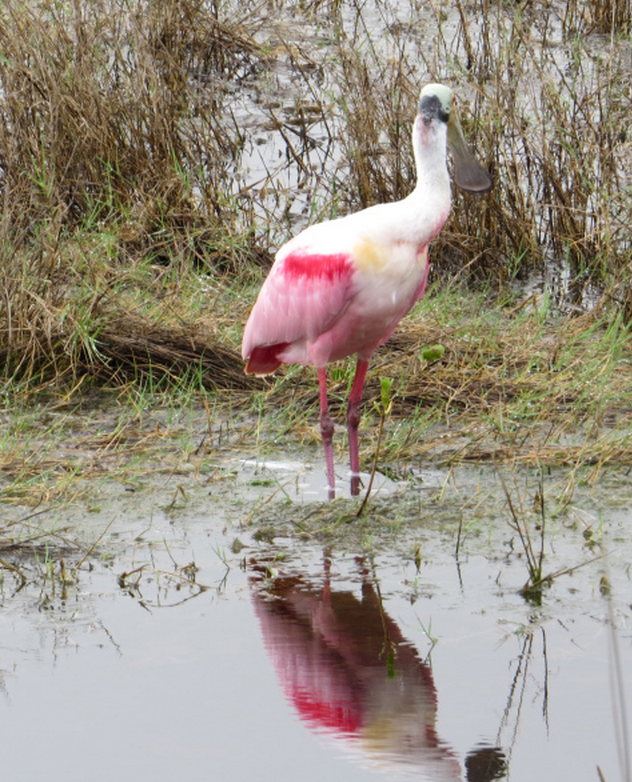 The Merritt Island bird loop is better than the wild animal safari you can take over at Disneyland, alligators and exotic birds like you have never seen before. Enjoy another issue of NetEqualizer News! This month, we preview our summer release (8.1), ask for your help in selecting a technical seminar location, discuss our popular leasing program, and show off our brief guides for how we can help in the education space (both K-12 and Higher Education). As always, feel free to pass this along to others who might be interested in NetEqualizer News. Colorado offers some great sights, and I prefer to see them riding a Harley. Riding here and trying to push the first day and last day of what we call the “riding season” further apart can be challenging. Last weekend’s ride started in the 40’s and then when it headed into the mountains, the temperature dropped into the 30’s. This required going through a small snow storm for 15 miles or so, and then rain the last 7 miles. But, you don’t ride a motorcycle unless you are willing to put up with a little of what Mother Nature can dump on you! With the temperatures rising in Colorado (giving me more opportunities to ride), things are also heating up at APconnections. We have some exciting things planned for NetEqualizer this summer and beyond. Stay tuned to the newsletter in the coming months for more details. We love it when we hear back from you – so if you have a story you would like to share with us of how we have helped you, let us know. Email me directly at stevew@apconnections.net. I would love to hear from you! :: Our Summer Release (8.1) is Heating Up! :: Think You Cannot Afford a NetEqualizer? Consider a Lease! Our Summer Release (8.1) is Heating Up! The response to Dynamic Real-Time Reporting (RTR) has been very positive, so we are spending resources this spring extending and enhancing its capabilities. We are excited to announce several key enhancements to RTR. First, we are ready to support your need for long-term data storage. To do this, we are implementing an easy-to-use data export process. You will be able to export reporting history to your reports data warehouse. This will enable you to slice and dice months or years worth of data on an external server. Second, we are expanding our ability to track and graph bandwidth use for your IP addresses. In addition to being able to track and graph by IP and your entire network, as you can today in 7.5, we are adding tracking and graphing by subnet, Pools, and VLANs. This addition will give you even more visibility to your traffic, with the added context and meaning specific to your network environment. Behind the scenes, we are enhancing our storage architecture to enable us to quickly drill-up and down all levels of IP data. The way we track penalties will be enhanced as well. You’ll be able to see in graphical format how a particular IP has been penalized over time. This is all in an effort to replicate the most heavily used features of ntop into our own tool with the goal of replacing ntop with RTR by 2015. We are looking for a host for our next Technical Seminar! Our popular technical seminar brings our CTO, Art Reisman, directly to you. Art will explore the NetEqualizer technology in detail and can answer all of your technical questions. Art is a futurist and successful entrepreneur, and can delve into diverse topics such as business ownership and technology direction, along with bandwidth shaping and caching. This is also a great opportunity to meet other NetEqualizer customers in your area. This half-day session is held as a casual, user-group format. This is not a marketing presentation; it was created by techies, for techies! You would like to spend half a day with Art Reisman, our CTO. You have a NetEqualizer that Art can log into during the seminar to review your setup. You have a room to fit up to 20 attendees. You can help to coordinate logistics (room, directions, etc.). Think You Cannot Afford a NetEqualizer? Consider a Lease! Last summer, we announced our new NetEqualizer Leasing Program, and since then, we have seen a great adoption rate. This program works best for those customers who need to align monthly expenditures with a monthly revenue steam – models commonly used by Business Centers and Internet Service Providers (for example). If you are a business owner in either of these verticals (or any other industry that could benefit), you should check out our Leasing Program to see if it meets your needs! These summary guides (3-4 pages) are focused on issues specific to schools and colleges, and explain how the NetEqualizer is used by our customers to address these common issues. This is a quick way to learn about how the NetEqualizer might apply to your environment. to get help optimizing your NetEqualizer. For anybody who has ever done something innovative, you’ll find most technology advances require some sort of change in behavior on the part of the target customer (consumer or business). The larger the organization, the less likely they are to embrace that change, and many times they are downright hostile toward change. 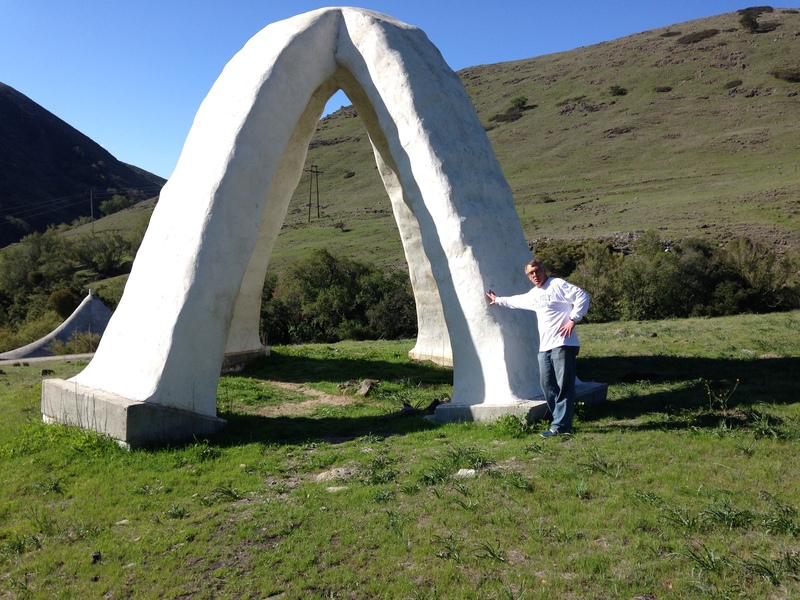 Nestled in the hills behind Cal Poly – San Luis Obispo, is a sculpture garden to rival any modern art museum in the world. It actually appears to be more of a sculpture graveyard, filled with architecture student projects erected over the years that have been abandoned. Nevertheless, it’s a mysterious location worth visiting if you are ever in the area. Enjoy another issue of NetEqualizer News! This month, we discuss our new NetEqualizer Leasing Program and talk about improvements to both our GUI and our Dynamic Real-Time Reporting tool. As always, feel free to pass this along to others who might be interested in NetEqualizer News. I have been focused on technical projects lately, such as our 64-bit release, our new Dynamic Real-Time Reporting, and also some improvements in our NetEqualizer Caching Option (NCO). While taking a break from thinking about technology, I became involved in a leasing deal for a customer acquiring a NetEqualizer, and thought – we can do that better! So… this month we are introducing the NetEqualizer Leasing Program, offered directly from APconnections on a trial basis. If you find this of value, we will keep this program around. Leasing gives you another way to manage your cash flow and capital expenditures, so that you can solve your network congestion issues with a NetEqualizer today. 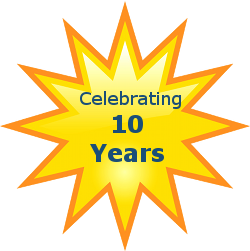 :: Reminder: 10 Year Anniversary Celebration! :: New GUI Features Coming This Fall! We are happy to announce a brand new way to get all the benefits a NetEqualizer can provide without having to front the initial cost: the NetEqualizer Leasing Program! Small (less than 300 users): $300/mo. Medium (300 to 1000 users): $450/mo. Large (more than 1000 users): $750/mo. Lessees can cancel at anytime provided the unit is in good condition once it is sent back. This is a great way to get a NetEqualizer into your network for a low monthly fee and very little money upfront. 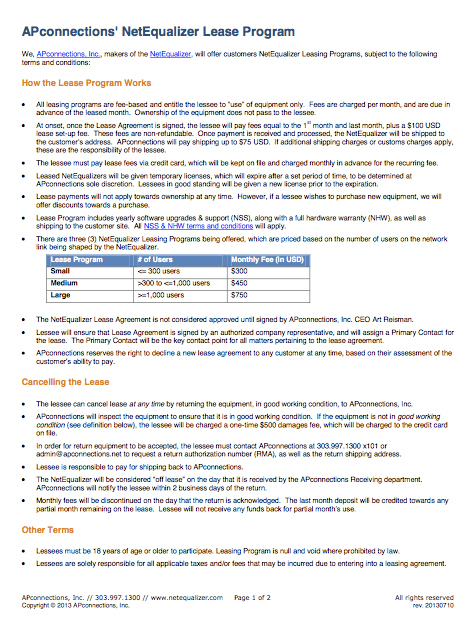 For complete details, take a look at our Leasing Program Agreement here. There is also information located on our How to Buy page. Reminder: 10 Year Anniversary Celebration! As part of our 10 Year Celebration, we will be donating $25 to one of four charities of the buyer’s choice for each unit sold from now until August 31, 2013. Address your bandwidth issues while helping a great cause! Contact us today! New GUI Features Coming This Fall! Over the next few months, we’ll be adding some requested features to the NetEqualizer GUI to help improve user experience and increase functionality. * Show all rules for an IP – be able to look up all associated rules for a given IP or subnet. * Choose units for dashboard display – multiple options for bandwidth units beyond bytes/sec. * See the top 10 offenders – this is already a feature in our Dynamic Real-Time Reporting tool, but it will soon be available to all. * Priority by whois – Give priority to connections based on a whois lookup of their IP. We are continuing to invest in adding features to the new GUI, based on user requests and all the positive feedback we have received. We are excited to continue our commitment to providing you with the best tools to manage your network. Now that many of you have used the new GUI for 10+ months, let us know if there is something that you would like to see included this fall! These features will be free to customers with valid NetEqualizer Software and Support. If you are not current with NSS, contact us today! One of our friends recently adopted a dog from an animal shelter, as she wanted a companion animal to play with her hyperactive terrier puppy. 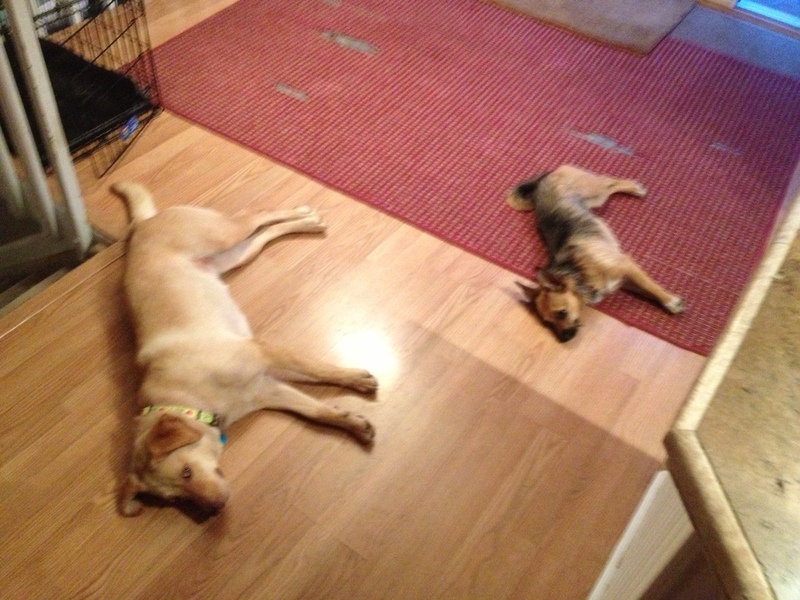 Here they are, already mimicking each other on Day 2 after the adoption. I am sure that they will both enjoy their new life together during these hot, dog days of summer!